Somerset is a county in the west of England and it includes the spa town of Bath and historic Wells which are both popular with tourists. Somerset's landscape is defined by the Blackdown Hills, Mendip Hills, Quantock Hills, Exmoor National Park and the Somerset Levels. The Travellers Guide has a selection of 3 star, 4 star and 5 star hotels, guest houses and bed & breakfast accommodation in Somerset, listed below. Please view our hotel offers page for the latest special offers for a range of hotels in Somerset. During your holiday in Somerset, you should visit the Tor and Abbey in Glastonbury, the Cheddar Caves, the Wookey Hole caves and the Roman baths and Georgian architecture in Bath. The Lordleaze Hotel is located in Chard, England, one mile from the town centre. Cricket St Thomas Wildlife Park is two miles away, Lyme Regis is 10 miles away, and Exeter is 37 miles away. 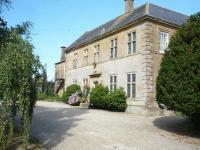 The nearest train station is located in Crewkerne, ten miles from the hotel. Hotel Features. Surrounded by countryside, the Lordleaze Hotel is housed in a former farmhouse dating from the 18th century and has manicured gardens. Bailbrook House is located in Bath, England, two miles from The Roman Baths and The Royal Crescent. Pulteney Bridge and Bath Spa train station are 1.5 miles away. Hotel Features. Housed in a Georgian mansion, this hotel is set in 20 acres of gardens. Guests are offered a tennis court, fitness room, spa tub, and a sauna. Further amenities include 24 hour room service, currency exchange, and free parking. A country house hotel dating back to 1851, the Ramada Grange is set in woodland gardens, eight miles from Bristol city centre. The 68 guestrooms feature contemporary decor and soft furnishings in rich, warm colours. All are equipped with cable/satellite television, work desks with lamps, telephones with data ports and bathrooms with hairdryers. The Farthings Hotel is located in the village of Hatch Beauchamp, England, six miles from Taunton in Somerset. 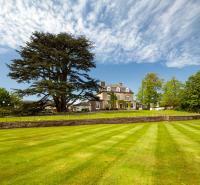 The hotel is 45 miles from Dartmoor, and 40 miles to Bristol, in the southwest of England. Hotel Features. A Georgian residence set in three acres of gardens and orchards, The Farthings Hotel is in the middle of an English country village. The Royal Crescent Hotel is a Grade I listed building, situated in the grand 18th century Royal Crescent in Bath, half a mile from the city's Pump Room and Abbey. The 45 air conditioned guestrooms have been individually designe d in a Georgian style; all deep carpets, rich fabrics and antique furniture. The Thornbury Castle Hotel is located in Thornbury within 400 metres of the town centre and 15 miles from the centre of Bristol. Hotel Features. This hotel is housed in a magnificent Tudor castle, surrounded by lush parkland. The castle opens to a reception area characterised by traditional arched entranceways and wood panelling and extends to public areas decorated with tapestries and heraldic shields. In 1.5 acres of mature gardens, Ash House Hotel is a stunning 300-year-old Georgian country house with beautiful rooms, in the Somerset countryside. Yeovil is a 10-minute drive away and the A303 is just one mile away. Ston Easton Park Hotel enjoys a tranquil rural location on the edge of the typically English village of Ston Easton, Somerset, England, seven miles from historic Wells Cathedral and 11 miles from the bustling maritime city of Bristol. Hotel Features. A country house hotel, Ston Easton Park is a Grade I listed Palladian mansion, built in 1739 in the neo classical style.